The life of nineteen-year-old Katie rarely goes the way she wants. Just when she believes things can’t get much worse, a baby immortal claiming to be her son and death’s personal assistant appear on her doorstep. Everyone around her begins to insist she’s someone she’s not, while demons, deities and immortals threaten to tear her life – and sanity – apart. Scared but brave, she confronts this new world head on, where she meets Immortals like Gabriel, a death dealer, and Rhyn, an outcast half-demon who claims her as his mate in a show of defiance to his Immortal half-brothers. Determined to spite the siblings that sentenced him to Hell, Rhyn rescues Katie from the demons and discovers what everyone is after: his little human has a gift that will safeguard – or annihilate – the immortal and mortal worlds. 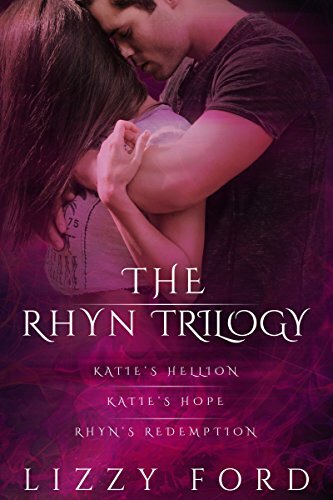 His defiance melts into possessive protectiveness of the fiery yet vulnerable Katie as he realizes the sorry truth: he’s the only ally she’s got, and he won’t leave her high and dry the way his brothers did him. Despite all odds, the unlikely pair begins to trust one another. Katie becomes caught up in the messy, dark political manipulations of the supernatural. The Immortals have no intention of letting her go – alive, that is, and Rhyn can only protect her if he accepts his place among the people he despises, a challenge given his status as an outcast. Meanwhile, the demons pursuing Katie are closing in, the Immortals lying through their teeth and the deity Death playing a game no one can predict.